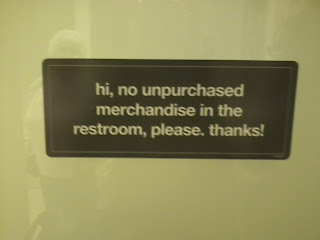 I came across this sign on the restroom door of Kohl’s the other day. Take a moment to really absorb what you are seeing. 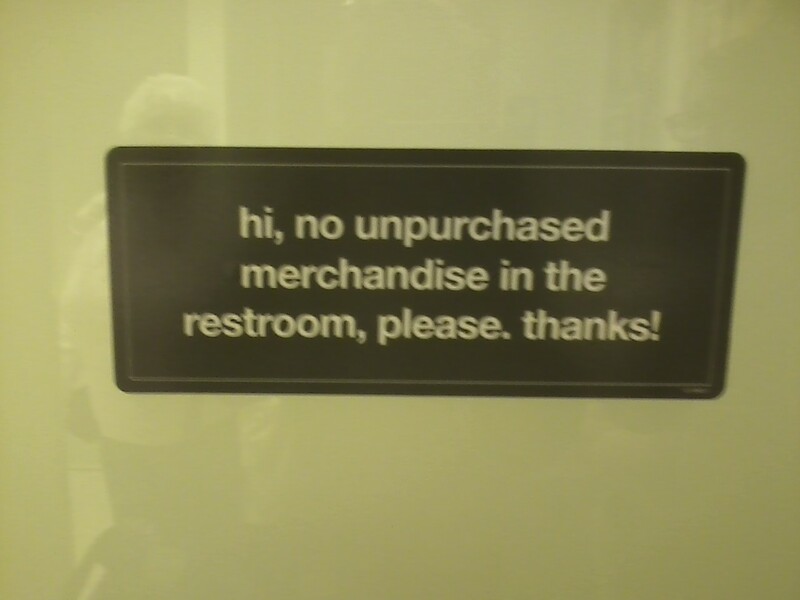 "hi, no unpurchased merchandise in the restroom, please. thanks!" I have had signs like this made before for various employers. 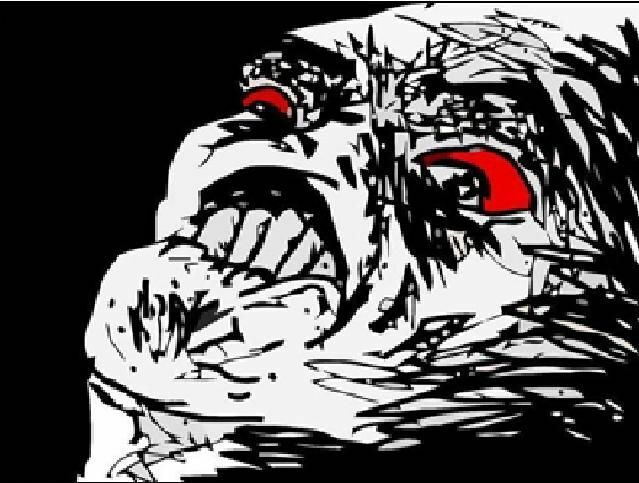 You type in a box EXACTLY what you would like your sign to say EXACTLY as you would like it to appear on said sign. It is that easy. There is zero excuse for this grammatical cluster-f*ck to be posted in a store to be seen by the public. It is a reflection of your establishment and Kohl's should be embarrassed. The person who typed up the sign didn’t see a problem with it. Nor did the manager who gave the okay to post it. Nor did the employee who glued it to the door. That is AT LEAST at least four levels of F*CKING STUPID. Now I don't claim to be grammatically correct all the time, commas confuse the sh*t out of me, but I'm not representing a major corporation.